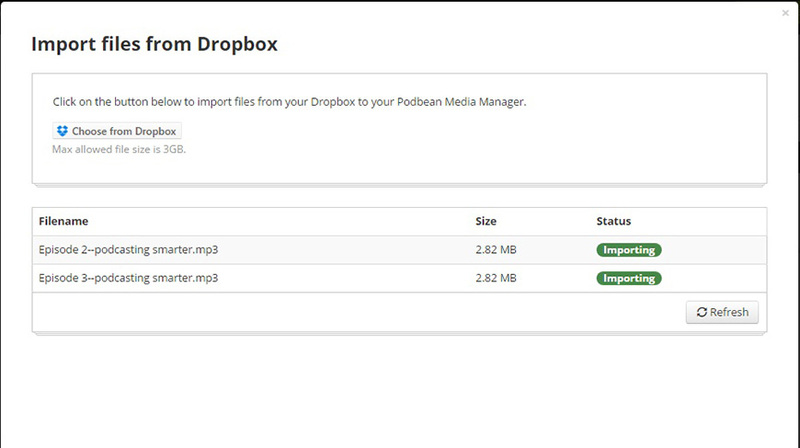 Import files directly from your Dropbox account to your Podbean Media Manager. Dropbox is a popular service used to store your files in the cloud. 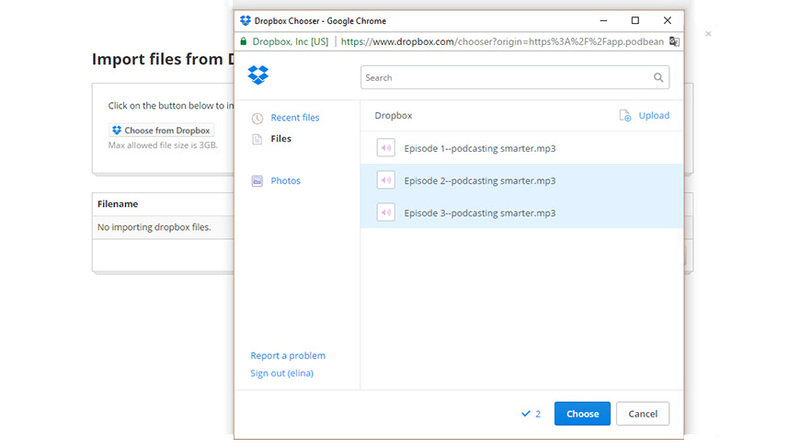 By connecting Dropbox with your Podbean Media Manager, this app makes it quite easy for you to import the media files stored in Dropbox to your Podbean Media Manager. The traditional way to upload the files stored in Dropbox to your Podbean Media Manager is downloading files from Dropbox to your local computer and then re-uploading it again to your Podbean Media Manager. Now, using this app, you can import the files directly from Dropbox to your Podbean Media Manager to save your time. 1. Get app (select a podcast channel if you have multiple channels). 3. Find the app and click on “Settings” icon. 4. In the pop-up window, click on “Select Files from Dropbox” button to connect your Dropbox account and choose files to import. 5. Go to Podbean Media Manager to view your imported files.